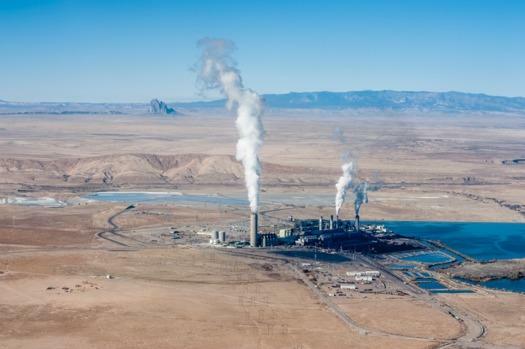 Commentary: The impending closure of the San Juan coal-fired power plant and mine does not have to signal economic doom for the small town of Waterflow, NM, where the plant is located. The site is an excellent candidate to be redeveloped for green energy production. That’s one of the conclusions from a new report by economist Kelly O’Donnell, Ph.D. The closure will result in the loss of 450 jobs as well as millions of dollars in property tax revenue that’s relied upon by the county of San Juan and area schools. The addition of a 450 megawatt solar photovoltaic plant has the potential to replace all of the lost property tax revenue and generate more than $67 million in replacement tax revenue. The plant would also create thousands of jobs and increase gross receipts tax revenue during the two-year construction phase. Among the site’s attributes that lend it to solar redevelopment are abundant sunshine and the existing transmission infrastructure. In addition to supplying green energy to the region, a solar plant could produce additional energy for export. Solar power generation in Waterflow would bolster other areas of the region’s economy, as well.